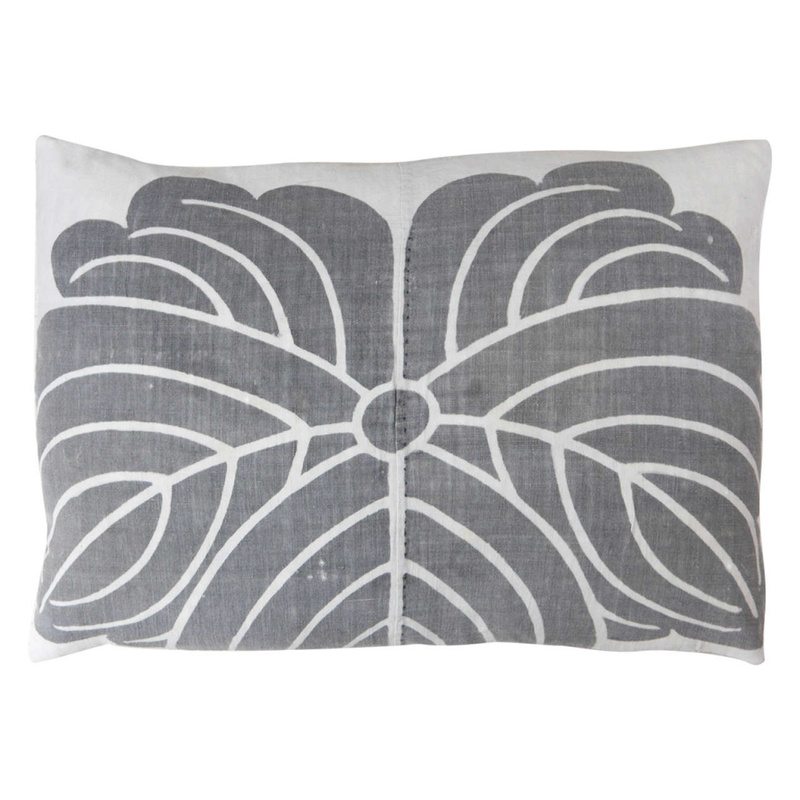 The Pat McGann Gallery in Los Angeles’s mid-Wilshire area curates exotic decor from around the world. 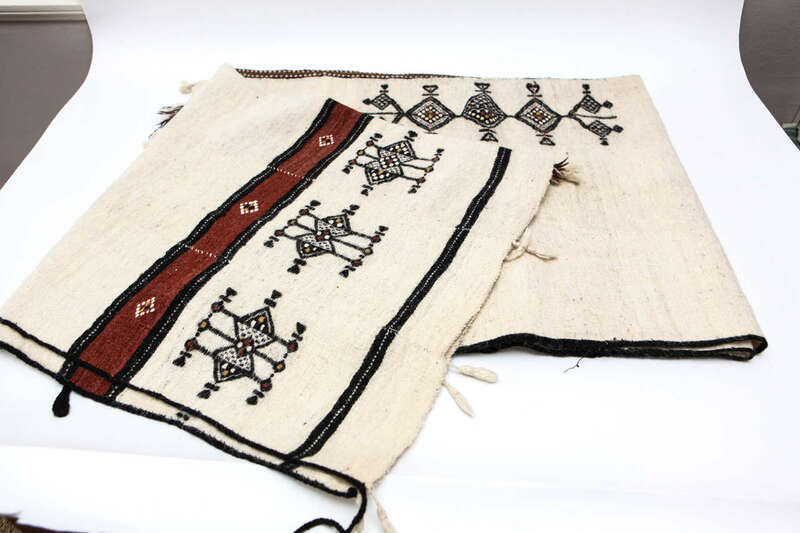 Priced at USD $1,650.00 this Vintage West African Wedding Blanket from Nigeria is used in Fulani tribal weddings. 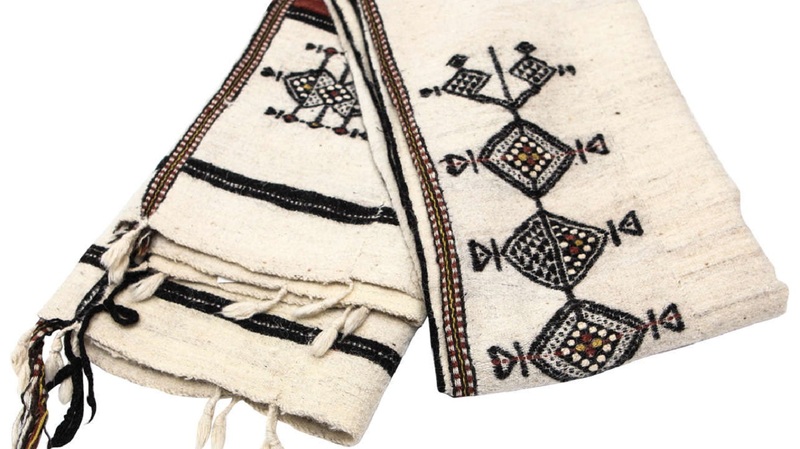 These Fulani blankets, or khasa, are made for beauty as well as warmth and protection from mosquitoes. They are commissioned by Fulani men as part of a dowry and the more colors displayed, the more expensive the blanket. 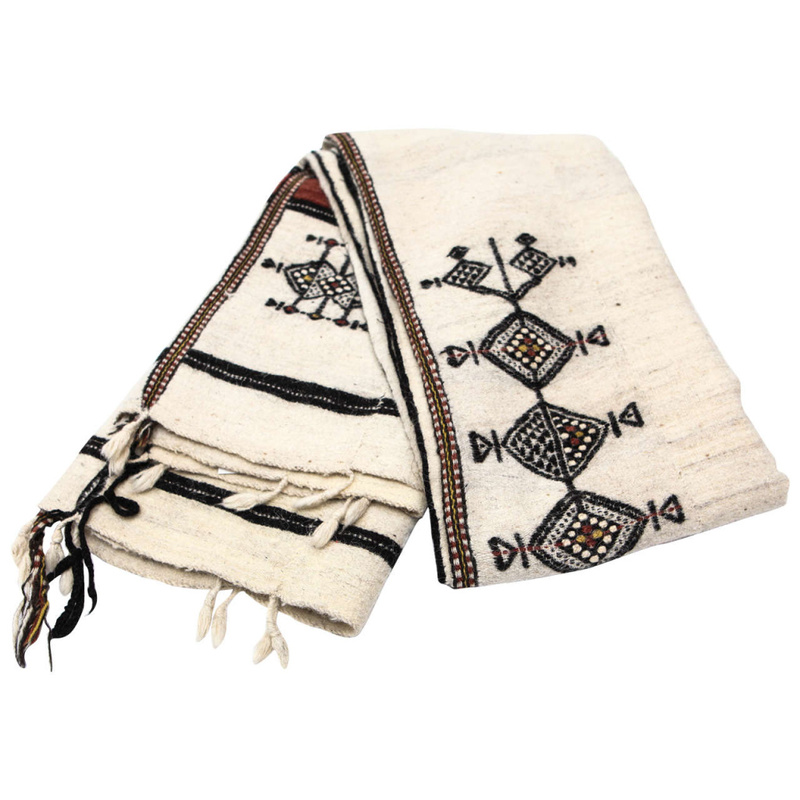 This blanket is hand woven from white sheep’s wool with a brownish red and black handcrafted brocade. It measures at 244 cm by 124 cm. 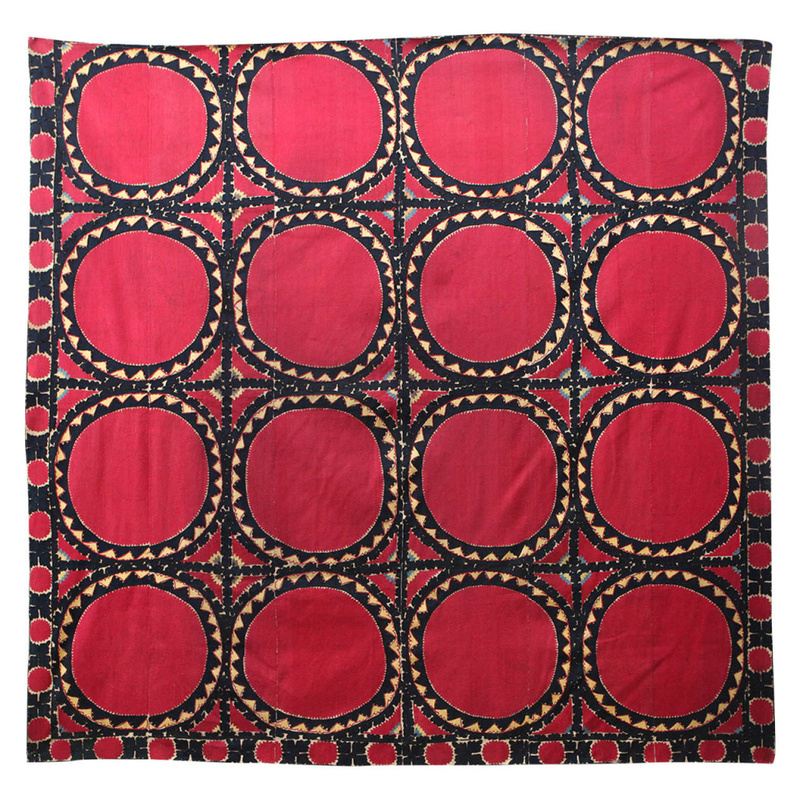 This early 20th century Antique Tashkent Suzani is detailed silk embroidery on cotton. The colors are cochineal red, taupe, yellow, French blue and blue-black outlines. It originates from Tashkent, Uzbekistan, the country’s largest and capital city. It’s 188 cm high by 180 cm wide. USD $6,500.00.